Hello, my name is Milli Thornton. I’m an editor and a writing coach. I also offer book development. If you’ve had a book idea rattling around for a long time but you don’t know how or where to get started, Milli can help you coax the vision from inside of your head to emerge as a plan for your book. She’ll help you write a book summary, table of contents and brief description of each chapter. If you don’t have a title yet, Milli can help you find the right title (or find an inspirational working title to get you started). Critiques are a dime a dozen and everyone wants to tell you how you should have written your story or book. Instead you’ll get constructive input on areas that need improving. 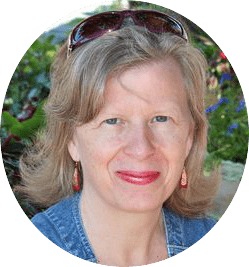 Milli uses her intuition and years of experience to put herself in the shoes of the reader; this gives you intimate feedback on what readers will notice and experience. If you’re seeking representation, Milli will point out what agents expect in terms of writing quality. Once you have a first draft it’s time to get serious about realizing the full potential of your book and your writing. This service includes in-depth feedback showing you where you can improve your writing, structure your book more effectively and provide more value to your readers. Milli will push you to do full justice to your book. Unlike a critique (a one-off situation), you’ll be working closely with Milli to bring each chapter to its fullness.